Today is the students penultimate day in Israel and the beginning of the school and work week for most Israelis. Their bus picked them up from Israel Street. Today was also the most serious morning of the trip. 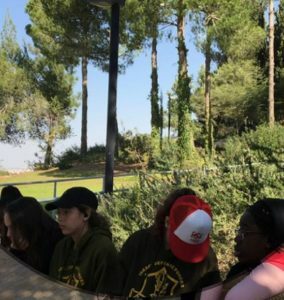 The students visited Yad Vashem, Israel’s Holocaust Memorial. The museum’s mission is to remember the individual people, killed by the Nazis and to honor the brave people, the righteous among the nations, who risked their lives to help Jews survive. Every person or family who helped save a Jew during that dark time has a tree planted for them in this memorial forest. The kids broke into two groups to tour the museum. 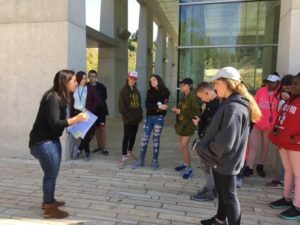 Adina, the guide of Jessica’s group, expertly took them through the lives of Jewish communities as they were before World War II and discussed the rise of Nazism. They learned about the people who had hope during the most terrifying times. Her message to the students was ultimately about the future and the importance of valuing every person’s humanity. 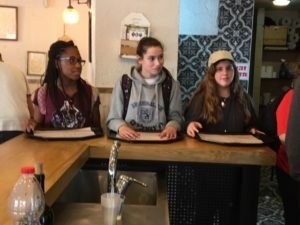 Switching gears for lunch, the students made their way to Jerusalem’s famous Mahane Yehuda market where they sampled the culinary creations of three different groups of Jews who have made their way to Israel and adapted foods from home to their new homeland: Georgians, Iraqis, and Brits. They ate Khachapuri with cheese and spinach which is similar to a big open calzone. 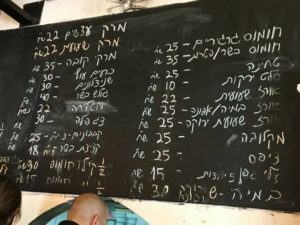 They also ate Hummus Yerushalmi –which is made with less lemon and oil than the hummus found in the Northern Galil. One stop on their culinary tour was Rachmo, one of the most famous no-frills workers’ restaurants in the market. See the menu below. And here are the student volunteers ordering food for all! They finished with fish and chips with an Israeli twist, breaded and fried with black sesame seeds which include tuna and salmon, with a yellow turmeric sauce along with the usual mayonnaise mix. Tomorrow, the students have a full day in Tel Aviv. Overall, it has been a great trip. 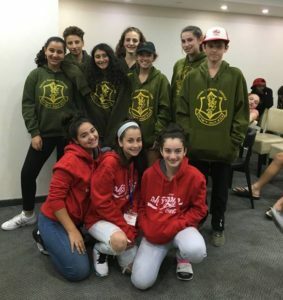 As you can see below, our students from Hebrew Language Academy Charter School and Hatikvah International Academy Charter School have bonded, they learned a lot, especially about what they can do when they put their minds to something. 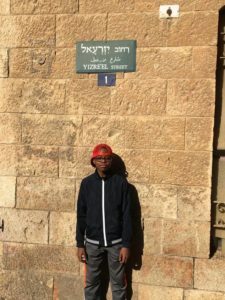 When asked, the students said the highlights of their trip was, climbing Masada, hiking, using Hebrew when they could, seeing Jerusalem’s holy sites, finding souvenirs for their families, and making new friends. The students are tired and ready to come home, but also sad to leave.